The weather here has been decent this week, temperatures in the high 40's up to mid-70's mid-day. The surface temperature of the water has dropped three degrees this week sitting at 66. The hot bite this week has been catfish with many anglers hooking up. 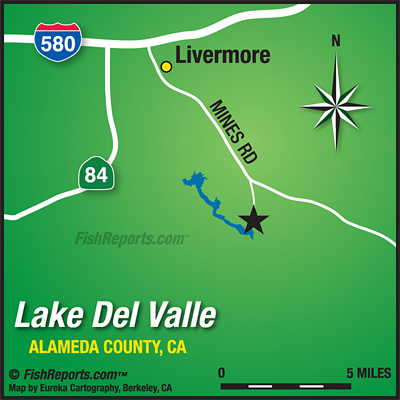 For catfish, most anglers have been fishing in the upper narrows and out towards the dam. The best baits to use would be either night crawlers or anchovies, with the water cooling off, I would also recommend trying cut mackerel. Other than that, you can get them sitting bait, most anglers have been using anchovies and chicken liver. I would also recommend using cut mackerel. We have received our first two Mt. Lassen Trout plants of the year one on 10/02/17 and the other on 10/09/17, both were 1,000 lbs. The water still might be a little warm in the shallows, for them I would recommend fishing in about 10-20 feet of water. I would try smaller spinners or jigging a small kastmaster. You might be able to catch them on garlic power bait or mice tails as well. 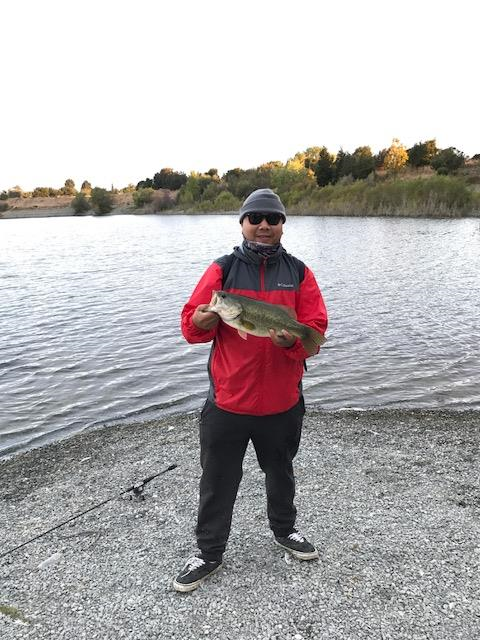 Steven Robles of San Jose caught 1 striper that weighed 6 lbs. Ken Matsuma of San Francisco and Tehani Nishiyamu of San Bruno caught one catfish each, they both weighed 4 lbs.